Make the most of this riverside city with a stay at our affordable Knights Inn Miramichi hotel. Conveniently located off Highway 8 in the heart of Miramichi, we offer easy access to the Ritchie Wharf Park, French Fort Cove, and St. Michael’s Basilica. After a busy day of sightseeing in this inviting destination along the Miramichi River, retreat to comfortable rooms and suites with free WiFi and other essentials for a stress-free stay. Feel free to bring along your furry friend; we welcome dogs up to 150 pounds for an additional fee per night. Start your day with a delicious breakfast of bagels, muffins, fresh fruit, and more. 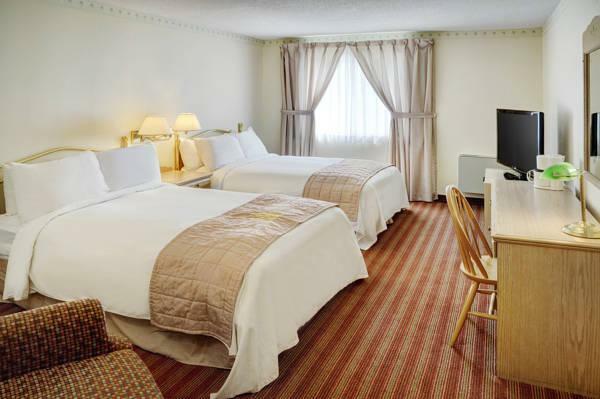 Our non-smoking accommodations are outfitted with everything you need for a restful stay. Relax on down pillows while watching your favorite shows on the flat-screen TV or checking email with free WiFi. Each guest room also features a desk, coffee maker, hair dryer, and bath products. 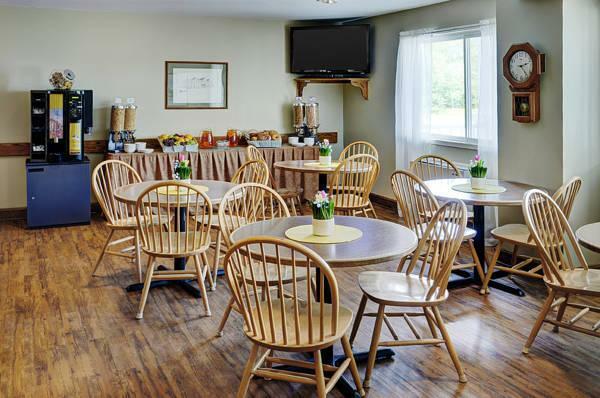 Spacious suites with kitchenettes and pet-friendly rooms are available, as is free parking throughout your stay. Plan your next meeting or special event with us. Featuring 700 square feet of event space, our hotel offers 2 meeting rooms that accommodate up to 40 conference guests or 20 banquet guests. We can also arrange great rates for groups of all sizes. Our convenient location puts you near some of the area’s top attractions, including the scenic Miramichi River, world-famous for its salmon fishing. Visit Beaubears Island, a 19th century shipbuilding site, or Middle Island Irish Historical Park, a former quarantine station for Irish immigrants. Spend an afternoon at the nautical-themed playground at Ritchie Wharf Park and go hiking at French Fort Cove nature park. You can also head downtown for delicious seafood restaurants and specialty shops, or stop by the neo-Gothic St. Michael’s Basilica.